As the Bloomberg Global Business Forum (GBF) came to a close today, more than 70 heads of state and delegation from six continents and over 200 CEOs came together to discuss shared issues and mutual opportunities including trade, globalization, innovation, and competition, supported by several new public-private partnerships, investment announcements, and global agreements. The record attendance by world leaders made the Forum this year’s largest gathering of heads of state outside a formal government summit. Numerous leaders of major multinational companies endorsed the Global Compact for Safe, Orderly and Regular Migration (Global Compact for Migration) today at the second annual Bloomberg Global Business Forum, a gathering of more than 70 heads of state and delegation, and 200 of the world’s most prominent business leaders, to strengthen economic prosperity and collaborate on trade issues, globalization, innovation, and competition. Ford Motor Company, Uber and Lyft today announced an unprecedented commitment to SharedStreets, a new data platform designed to make it easier for the private sector to work with cities around the world and leverage data to improve urban mobility. The data sets pledged by the companies will provide the public and private sectors with new tools to manage curb space in order to reduce congestion and emissions that cause climate change; improve the efficiency of city streets by making it easier for everyone to get around; and save lives by preventing traffic crashes. The groundbreaking public-private partnership is the result of a collaboration with the National Association of City Transportation Officials (NACTO), the Open Transport Partnership and Bloomberg Philanthropies, the consortium behind the innovative SharedStreets data platform. The UK’s Minister for Women and Equalities, the Rt Hon Penny Mordaunt, and Founder of Bloomberg L.P. and Bloomberg Philanthropies, Michael R. Bloomberg, today announced a new partnership between the UK Government and Bloomberg L.P. to improve reporting and transparency around gender equality in the workplace. Michael R. Bloomberg unveiled the second annual Bloomberg Global Business Forum’s official program and announced new participants including Norwegian Prime Minister Erna Solberg, Turkish President Recep Tayyip Erdoğan, Dutch Prime Minister Mark Rutte, Malaysian Prime Minister Mahathir bin Mohamad, Nigerian President Muhammadu Buhari, Spanish President Pedro Sánchez Pérez-Castejón, Rwandan President Paul Kagame, and Swiss President Alain Berset. 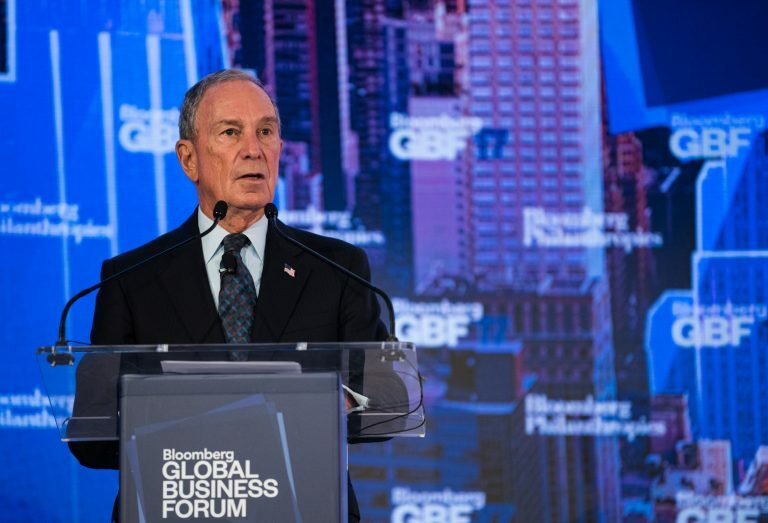 Michael R. Bloomberg announced 50 sitting heads of state from six continents have already committed to attend the second annual Bloomberg Global Business Forum (GBF), making it one of the most-attended events by chiefs of state and heads of government in 2018. They will join over 250 of the world’s most prominent business leaders to strengthen economic prosperity on trade issues and collaborate on globalization, innovation, and competition. If the companies they lead were a country, its economy would be the third largest in the world. Supported by Bloomberg Philanthropies, the Bloomberg Global Business Forum will take place in New York City on September 26th at the Plaza Hotel alongside the 73rd session of the United Nations General Assembly. Michael R. Bloomberg today announced the second Bloomberg Global Business Forum will be held in New York City on September 26th at the Plaza Hotel during the 73rd session of the United Nations General Assembly. 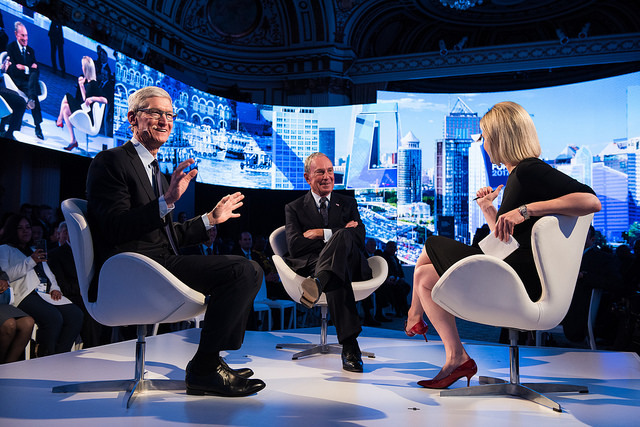 World and business leaders from every region, including more than 50 heads of state and 250 international CEOs, joined Michael R. Bloomberg for the inaugural Global Business Forum, to discuss innovative and collaborative ways to solve challenges and explore new opportunities to global economic growth. Governor Edmund G. Brown Jr. announced that Executive Secretary of the United Nations Framework Convention on Climate Change Patricia Espinosa, United Nations Secretary-General’s Special Envoy for Cities and Climate Change Michael Bloomberg and Mahindra Group Chairman Anand Mahindra will co-chair the Global Climate Action Summit from September 12 to 14, 2018 in San Francisco, California. United Nations Secretary General António Guterres and World Bank Group President Jim Yong Kim announced plans to accelerate the flow of finance for climate action through a new platform dedicated to identifying and facilitating transformational investments in developing countries.